TPB's Back Issue Classics are here again! In the 44th episode of TPB's BIC TFG1Mike welcomes Jesse W Jackson back again! We give a slightly spoiler free-filled review of Thom Zahler's Love & Capes Volumes 1 and 2! That's right we are talking about the heroically super situation comedy comic book! 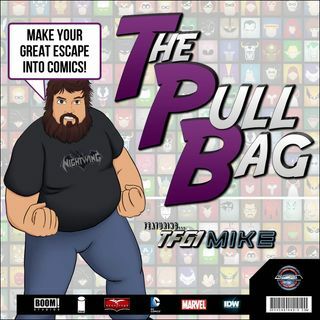 So make your Great Escape into Comics, and listen to this weeks Pull Bag! ! Where's MY Cover ... See More Cartoonist Boy? The post TPB – Back Issue Classics – Love & Capes Volumes 1-2 appeared first on GeekCast Radio Network.